The “Big 3” of 2018 are still very much a factor and Kevin Harvick proved that again Sunday. 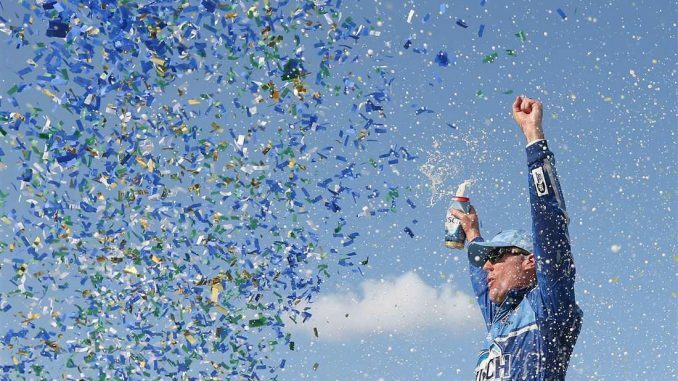 Harvick led a race high 108 laps, swept both Stages for the third time in his career, and won the Consumers Energy 400 at Michigan International Speedway. It was his seventh win of the season and the 44th of his career tying him with Bill Elliott on the all-time wins list. The highlight for Harvick may have come after the checkered flag. 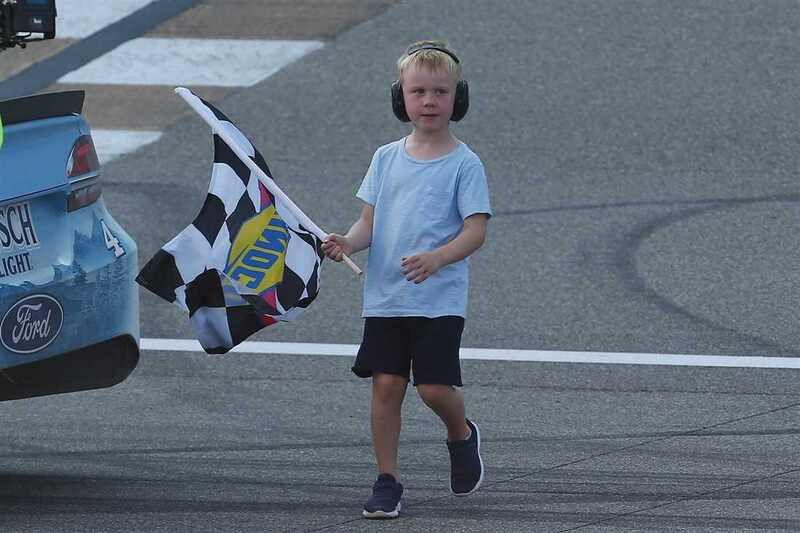 Son Keelan,6, had asked his dad earlier in the week if he could get the checkered flag should dad win. Dad honored that request and Keelan took the flag at the finish line, then a ride in dad’s racecar to victory lane. The second of the Big 3, Kyle Busch led 22 laps and finished third ahead of Brad Keselowski. The third of the Big 3, Martin Truex Jr., had a drama filled day. He led 25 laps but faded late after rallying back from a spin, running out of fuel near the end of the second stage and a penalty for an uncontrolled tire. Truex finished 14th. “There’s one thing that was for certain, it was not our day,” Truex said. “I told our friends in the 5-hour Energy suite this morning that whatever it is, we either finish top-five or 14th. Sure enough we’re 14th. Austin Dillon continued the strong weekend for Richard Childress Racing leading 5 laps late in the going and threatening Harvick for the lead. 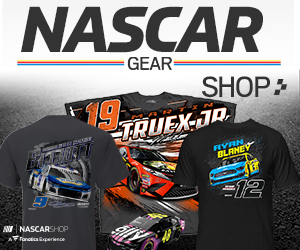 A vibration on the final lap slowed Dillon who still held on for fourth, his second top five finish of the season and his best finish and his first inside the top 10 since his win in the season opening Daytona 500; Ryan Blaney was fifth. Kurt Busch was sixth, Aric Almirola seventh, pole sitter Denny Hamlin, who led 13 laps was eighth with last week’s winner Chase Elliott ninth and Joey Logano who started in the back of the field after his crew was forced to have him pit to change a shock on the pace laps finished 10th. June Michigan winner Kyle Larson finished 17th. The Monster Energy NASCAR Cup Series heads to Tennessee for the Bristol Night Race Saturday night. Live coverage will be on NBCSN starting at 7:30 p.m. ET.